b﻿ Preliminary Match ScheduleThe EuroFloorball Challenge (EFCh) is the championship tournament for European national club champions outside of those in Champions Cup and the EuroFloorball Cup. Depending on the number of teams registered it can be played in several tournament tiers, ideally with 6 teams in both men and women (12 teams in total) in each tier. The winner of each EFCh tier qualifies for the next highest tier tournament in the following year. 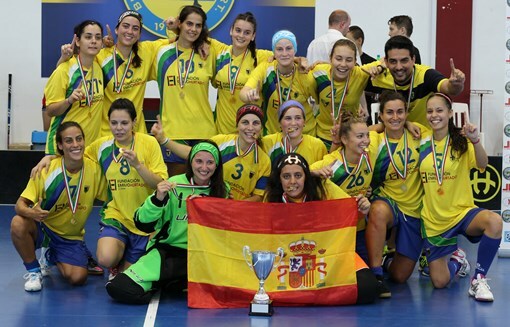 In 2016, a total of 8 teams have registered, with 4 men´s teams and 4 women´s teams. The winners of EFCh will qualify directly to EuroFloorball Cup 2017. 25.08. 13:48 Men: FBC Bozen - Krokodilok 3-4 ps. 26.08. 13:45 Women: Lyon FC - Phoenix Fireball 4-3 ps. 26.08. 16:31 Women: CDE El Valle - Pillangok 6-5 ps.